-- Select a Size -- Medium Large - Out of Stock! 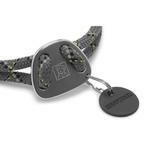 Keep your outdoorsy dog safe and secure with the Knot-A-Collar Dog Collar by RuffWear - Granite Gray! 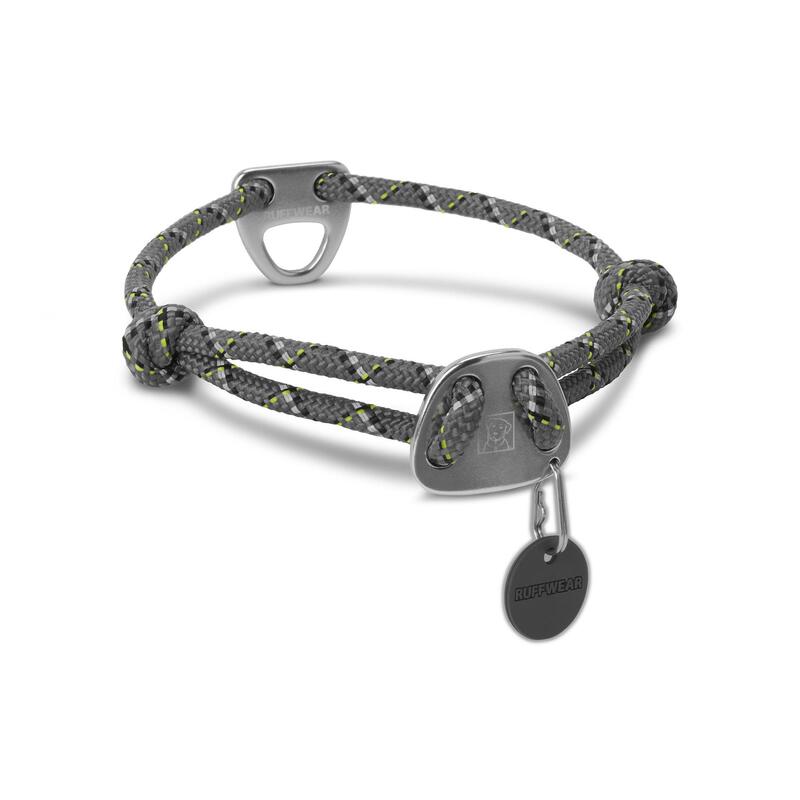 Inspired by climbing rope, the Knot-A-Collar Dog Collar by RuffWear - Granite Gray is strong, comfortable, and dependable! It works particularly well for dogs that have thick, bushy fur because its low profile allows the collar to settle comfortably in thick fur. One unique and convenient feature standard on all Ruffwear collars: a separate mini D-ring ID attachment to separate tags from the leash for less annoying rattle. Machine wash warm water mild soap hang dry. Matching Knot-A-Leash, Knot-A-Long and Just-A-Cinch sold separately. 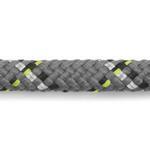 Posted On 06/18/18 by Home from , Yes, Home recommends this product! If you're familiar with their rope leashes you'll love this collar too. It's probably more for just a collar than to use with a leash. I would not get this if you want to change the collar often as this doesn't have a buckle. Overall it's really nice to just keep on your dog. Great selection, easy to find items, easy to check out. Great site.